A widely shared intuition holds that individual control over money matters for the decision process within the household and the subsequent distribution of resources and welfare. As a consequence, there are good reasons to depart from the unitary model of the household and to explore the possibilities offered by models of the family accounting for several decision makers in the household and for the potential impact of tax reforms on the balance of power. 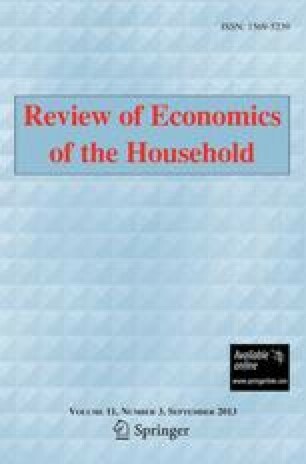 This paper summarizes both the methodological and empirical findings presented in the next three papers of this special issue of the Review of the Economics of the Household. This series of contributions primarily entails a concrete comparison of the policy implications of the choice between the unitary and a particular multi-person representation: the collective representation. On the one hand, it suggests a methodology to implement the collective model of labor supply in a realistic context where participation is modeled together with working hours, and where the full tax-benefit system is accounted for. On the other hand, the empirical part relies on comprehensive simulations of tax reforms in Belgium, France, Germany, Italy, Spain, and the United Kingdom, and allows to quantify the distortions that may affect policy recommendations based on the unitary model. This paper exploits work done in the one-year project “Welfare analysis of fiscal and social security reforms in Europe: does the representation of family decision processes matter?” , partly financed by the EU, General Directorate Employment and Social Affairs, under grant VS/2000/0778. We are grateful for comments and advice from the Editors, anonymous referees, François Bourguignon, Martin Browning, Pierre-André Chiappori, Olivier Donni, Andreas Krüpe, Jason Lee, Ernesto Longobardi, Isabelle Maret, Costas Meghir, Nathalie Picard, Hubert Stahn, Ian Walker and Bernarda Zamora, as well as participants in conferences and seminars too numerous to be quoted here. The usual disclaimer applies.